Project date: 01.01.2018. - 31.12.2019. Palócút cultural Tourism Cluster Association as a cultural thematic route in the Hungarian-Slovak border region, Podpolanie Cultural route planner, DC DETVA Founation for Preservation of Traditional Values, Slovak National Museum and municipalities of Hrusov and Vanyarc are putting forward a joint proposal. The common objective is to utilise the cultural traditions and natural values of the border region, to develop and connect new and current attractions and thematic routes, to create sustainable and family friendly tourism product sets, and the organisation necessary to manage the „Palócföld - Hont - Podpol'anie – Cultural Heritage Thematic Route”. - the creation of a joint cultural thematic route. New supply elements will be developed thanks to the project. Open workshops, travelling exhibitions, new thematic routes for hikers, cyclists and car drivers with smart map application. Programme packages connecting cultural and natural values. New permanent exhibitions in the area and organisation of 10 major events. We establish 15 playgrounds with traditional games and bicycle rentals on those settlements in which family- and visitor friendly services are absent. Our joint task is to make marketable products of current attractions, and to put together programme packages; to group events into unified series of programmes, new visual identity, brand building, introduction of trademark system, joint marketing activities, information points, printed and online marketing, travel film, exhibition participation, scientific research, publicity and knowledge transfer complete the project. Palóc Út Klaszter Egyesület organized intermediate press conference of the project Interreg V-A Slovakia - Hungary Building Partnership, number of the winner project is SKHU/1601/1.1/175 the name of the project is Palócland – Hont – Podpoľanie. The conference was at 10th April 2019 from 11:00 in Duvox Restaurant, in Kriváň. The event was opened by the mayor of the village. He presented their rapidly evolving village. The Slovakian leading beneficiary’s (KC Detva) chairman Elenea Jankovicova informed visitors about implementation of their project. Elena Jankovicova asked József Bózvari to take his presentation. József Bózári is the leading beneficiary’s chairman (Palóc Út Klaszter Egyesület). In his presentation highlighted history of Palóc Út Klaszter Egyesület, the background of the current project, actual status of the project after one years realization period and which project elements will be realized in this year. The participant’s common objective are to utilize the cultural traditions and natural values of the border region, to develop and connect new and current attractions and thematic routes, to create sustainable and family friendly tourism product sets and to make infrastructure for sustainability project. Representatives of the media and different professional organizations were invited to the press conference. The project partners presented their roles in the Palócland-Hont-Podpolanie project and the expected outcomes of the co-operation. Palóc Út Klaszter Egyesület organized opening press conference of the project Interreg V-A Slovakia - Hungary Building Partnership, number of the winner project is SKHU/1601/1.1/175 the name of the project is Palócland – Hont – Podpoľanie, The conference was at 23 April 2018 in House of Projects, in Balassagyarmat. The event was opened by József Bózári, he is the leading beneficiary’s chairman (Palóc Út Klaszter Egyesület). In his presentation introduced history of Palóc Út Klaszter Egyesület, the background of the project connected with Palóc Út - in the two years implementation period - which activities they will plan. Further speakers: Teréz Nedeliczky project manager of the Vanyarc Községi Önkormányzat, Báder Miklósné chairmen of the curatorium Hagyományos Értékek Megőrzéséért Alapítvány, Jarábik Gabriella director of the Slovenské Národné Múzeum, Elena Jankovičová director of the Komunikačné centrum Detva, n.o., Pavel Bendik mayor of Obec Hrušov. Palóc Út Klaszter Egyesület organized following project meeting in Kriván in Duvox Restaurant at 10th April 2019. The Workshop was about the winner project of the Interreg V-A Slovakia-Hungary partnership program, it is called Palócland – Hont – Podpolanie the number of the winner project is SKHU/1601/1.1/175. Professional and project representatives participated in the event. 1. Item was about reporting of the current status their projects and about implementation of the project. They had a small mismatch between planned and actual implementation state of the project. 2. Item was about the second project monitoring report. Leading beneficiary informed visitors about implementation percent rates on the project level and on the partners level too. In the 3. Item they discussed the foreign language publications. Partners made decision to help each other to control the foreign language publications and they also discussed the following press conference and exhibition which will be held in Detva on Folclore holidays. Palóc Út Klaszter Egyesület organized in Balassagyarmat at 7. November 2018. the next project meeting. The Workshop was about the winner project of the Interreg V-A Slovakia-Hungary partnership program, the winner project is called Palócland – Hont – Podpolanie the number of the winner project is SKHU/1601/1.1/175. Professional representatives and project representatives participated in the event. 1. Item had been about the reporting of the current status of their projects and, which activities was implemented in the second period, if they had mismatch between planned and actual schedule, they had to explained the cause of the delay. 2. Item had been about the second monitoring report of project. Four of six project members got Declaration, but two reports does not approved yet. They have to send Report of the Leading Beneficiary to the 29. November 2018, but they took decision, they will wait for declarations of every project partner. 3. Item ha been about the public events. Partner of the Detva town invited partners to the Folcloric festival to participate on the exhibition called Slovak and Hungary folk court. They discussed the location of the Palóc Út organization second press conference, It will around March and April in Slovakia, the workshop meeting will be on the same day. Palóc Út Klaszter Egyesület organized workshop meeting of the project Interreg V-A Slovakia - Hungary Building Partnership, the number of the winner project is SKHU/1601/1.1/175 the name of the project is Palócland – Hont – Podpoľanie, first workshop was at 24, August 2018 in the Mofetta, in Balassagyarmat. 1. Item had been about the reporting of the current status of their projects and about payments of the activities and about the planning settlement of the account. Unfortunately, most of the project partners will have to reschedule the budget because of unexpected issues. 2. Item had been about the Report of the Leading Beneficiary. It was sent on 8, August. The Leading Beneficiary based on the report of the project partners developed and submitted the report of the Leading Beneficiary and payment request for the first period. On the 3rd item, the next Work Shop date was discussed. Palóc Út Klaszter Egyesület organized in Hrusov on 11 July 2018 the second project discussion. The Workshop was about the winner project of the Interreg V-A Slovakia-Hungary partnership program, the winner project is called Palócland – Hont – Podpolanie SKHU/1601/1.1/175. Professional representatives and project representatives participated in the event. Item 1. The project members reported about the implementation of the projects. They had problems to keep the schedule. The public procurement interface was transformed, therefore the Hungarian members did not got advance money. Item 2. They discussed information and publicity elements. The leading partner informed the participants about the mandatory communication elements, and how to proof communication elements with documentation. Item 3. They discussed the Study Tour, it will hold in 2019. It will a two days event, they will invite 20 journalists and they will present every location of project, the hosting members will wait the guests with local foods and traditions. Palóc Út Klaszter Egyesület organized the first workshop of the project Interreg V-A Slovakia - Hungary Building Partnership, the number of the winner project is SKHU/1601/1.1/175 the name of the project is Palócland – Hont – Podpoľanie, first workshop was at 12 March 2018 in House of Projects, in Balassagyarmat. 1. Item had been about the assignation of the Slovak Leading beneficiary. Leading beneficiary said that, the Subsidy Contract had been signed. Komunikačné Centrum Detva became the Slovak Leading Beneficiary. Representatives of Slovak National Museum will help in the communication between Slovak and Hungarian project members. In the 3. Item had discussed changes around the budget of the events. Partners of Detva created the project poster, which other members can use as a sample. At the end of workshop was discussed the monitoring report, what they have to send to 15. May. 15. 12. 2018. Kalonda, Play with fire! The event was called ’Play with fire!’ It was organized on 15th December, 2018 on the border crossing point between Ipolytarnóc and Kalonda village. Event was organized at the 11th Anniversary Opening of borders under Schengen, It was in 2007. On the international event came a lot of slovak and hungarian participants, There were around 380 visitors. The program was started at 4 p.m. and it was ended at 7 p.m. They organised panel discussion about the opening of borders in 1996 and about the opening of borders under Schengen in 2007 the public figures participated in this discussion. After the discussion the program was continued with the attractive fireshow and the sky lanterns was let off, The fireshow was called ’There are no borders’. The program was continued at 7 p.m. in Kalonda village, in Palóc Museum which give place for the House of culture. The participants could learn folk dance and there were a dance ball. The visitors could see the exhibition material and The candle on the advent wreath was lighted. Palóc Út Klaszter Egyesület organized training seminar about the mobil application which is the once project activity of the Interreg V-A Slovakia-Hungary partnership program, the winner project is called Palócland – Hont – Podpolanie the winner project number is SKHU/1601/1.1/175. Palóc Út organization will create a mobil application, and about the functioning of the application was the seminar. The represented of professional organization participated in the event. 1th item has been about the GUIDE@HAND application. The realizations give a presentation about the User Interface and how can make suitable scenario for the routs, and about the once elements of scenarios. In the 2th item we had invited the participants for the short hiking rout, they could learn how could fix the navigation and visual points. In the 3th item the system administrative surface was presented, they could apply the system the navigation and visual points, and how could add pictures, videos, article and written or voiced comments related with visual points. Sirok is a breathtaking small village, it lies where the Bükk National Park is crossed by Mountain Mátra, It lies on the shore of the Torda river. The young people willingly moved here because of the small distance from Eger, quietude, and charm of the rural land. The event was on 13th October 2018. There was in the Sirok Castle. The idea of the competition was given by the height difference between the castle and village. We hope our event will be soon a national competition. The local students were mainly invented for the competition, but we gladly received individual participants. They could enroll in the more age categories. Who successfully complete the distance could view castle free in charge and they get some information about the current conditions of the castle and about the renovation of the castle for some years ago. There were a big variety of programs for children. They could make amulets with Sirok title, They could paint amulets with colored pencils and with watercolor. The other program was more interesting for boys. The outlaws from Mátraalja give a performance. They presented ancient weapons and means. After that will be a outlaws competition, it looked like as trial of strength. There were tasks as tugging and tire throwing. There were 198 participants. After the result announcement tired participants came home. There are 600 residents in Herencsény Village. Herencsény is in the center of Palocland, in the center of Nograd County. It lies on the intern slove of the Cserhát mountain. 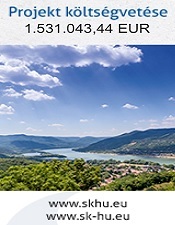 We can reach it from Balassagyarmat town and Pásztó town. The village is in the beautiful nature, the friendly community preserves their traditional values, but they have to face the problem of aging community. They took steps to solve this problem and it defines the activities of the local government. They make effort to made more attractive the region for tourists: they preserve their traditional values, and they participate in the projects of European Union. We organized Harvest festival and ball in the mean of the preservation of the paloc tradition values. The event was started at 29, September on Saturday, at 3:30 p.m. The event started with the procession, there were around 200 participants, they wore Hungarian and traditional attire. There was beauty contest of the straw man, there got an award for four compositions, There was the harvest beauty contest, They could register in the 4 categories. Village Szandaváralja lies on the inner side of the Cserhát Mountain on the north side of the Szanda Mountain. We can reach it from the main road between Balassagyarmat and Aszód, if we turn on the crossroad between Becske and Magyarnádor. Terény is the nearest village from Szandaváralja, it is 2 kilometers far from Szandaváralja. The event has organized for many years. It was organized for respect of Birthday of Virgin Mary. The local residents renewed the Virgin Mary spring, there is on the nearest forest. The Gastronomy Contest was started on Sunday at noon. The Local residents and residents from neighboring villages could participate in the contest. The holy mass was started from the 4:00 P.M. Ipolyi Károly is vicar from Magyarnádor, he held the mass, came to the mass lot of visitors. After the mass, there are other programs on the open stage. Folk Ensemble From Szügy, Group for Preservation of Traditional Values from Terény it was called Kalácska gave a high quality and funny performance. The evening was closed with an outdoor ball. The Oven Day was held 20th time. The purpose of the event is to present the local values and traditions of the settlement for the visitors. It is important to involve the local residents and nonprofit organizations to strengthen their identity and increase their sense of belonging to the same community. The event was started with the Pintér Zoltán Memorial Wine Festival on Friday at Szomolyai street and at Jókai street. On Saturday in the center of the event were ovens. The ovens are in the local houses, we organized the gastronomy contest around these houses. Every team had to bake a meal in the oven. There were other programs, for example, programs for children, theater plays, fair and the street party. The plays started at 11.30 in the garden of the De La Motte Mansion. The village was 600 years old. There is on the right side of the Mátra, there is on the Heves Country 120 kilometers far from Budapest. It is a popular touristic and recreation place. The community is rich in natural treasures, the landscape is breathtaking the air is clean. The first Palóc Pillow Festival has organized in Mátraderecske for 12 years ago. The purpose of the festival was the preservation of traditional values and It looks like succeeded. Programs were in the three locations. There were exhibitions and crafts programs on The Local Folklore Museum and in Mofetta. We opened the festival in the garden of Local Folklore Museum, The Palóc Barn building was handed over. Two exhibitions were opened in Mofetta the first was called: ‘The exhibition of swords, bayonets and mining’ Tóth István is a local resident he is the author of the exhibition, and the second exhibition was from the works of association of the Folklore Art Csillagvirág. Szikora Róbert with the R-Go music band made a hilarious party and 30Y band played for youth after 9 o’clock. Supervision music band played since 11 o’clock. Saturday forenoon every enquiring person could try weaving, discouragement and woodcarving at the Local Folclor House garden. It was procession afternoon, Participated the nursery schoolers, schoolchildren, members of the Traditional Folk Club, our Retirement Club members, the Retirement Club from Recsk, and the Kenderszer Folk Dance Ensemble from Bodony. Folk Dance Ensemble from Bodony and Retirement Club from Recsk danced under the processon. Honorary Citizen certificate was issued in the afternoon. The Children Dance Group, The Retirement Club and Women Choir gave a performance too. After the 6 o’clock PG group gave a high quality and unique performance it was called Silver Clerk. Vad Fruttik played after the 9 o’clock. There had been fireworks and the Universal party band closed the evening. The festival was closed with the Sunday Mass. In the village Erdőkürt was organized Palóc Gastronomy Festival, It was organized within the framework of Village day meeting. It was named Meeting of the Kürt Communities. The village day is the main event in the village. Most of the local residents actively participate in this event. The local inhabitants waited for the moved away relatives and friends in this day. The invited participants from Kürt communities came with 50 members delegation. There were around 800-1000 visitors. The event was started on 17th August. The launching event was since 17 o’clock at the evangelical church. There was ecumenical mass in a spirit of reconciliation between regions. The Csibaj band from acsai played in the amphitheater of the Culture House and Participants could dance. The football match was started on 18th August at 9 o’clock, after that the program continued with the pleasant walk in the village and We introduced the village for visitors. We laid a wreath at the first- and second-word war memorial, There is on the center of the village, the memorial was raised by local inhabitants as a memorial to the victims of the first- and second-word war. The event was at three locations, Everybody could find a suitable program for oneself. The Wanderer Cup of the Kürt Communities Mayors’s was on the sports court. There were traditional preservation programs next to the cultural house on the park (jumping castle, a carousel waiting and there was a place for outdoor baking). There were cultural programs all day in the garden of the cultural house. There were fireworks, after the firework the Palócok band played music for dancers. Erdőkövesd is a small Palóc village, It lies on the right side of Torda river. It has 650 inhabitants. It is from North and East surrounds by wooden mountains, air is clean and the beautiful environment is suitable for hiking, horse-riding and hunting. The event Erdőkövesd Challenge was organized on the villages sports court. It was organized for eighth time. The longest distance was 50 kilometer long, the medium distance was 25 kilometer long and the distance for youngest was 10 kilometer long, There were three categories Long Distance Hike, cross-country race and mountain bike rice. The youngest could participate in the race between the Várasztó end Erdőkövesd on the fields and wooden mountains of villages. The Event Managers had expected participants day before a event, they could camping and Village guesthouse expected hosts in the Petőfi rout too. There were registered 147 participants, 44 participants selected the 50 km distance, 81 participants the 25 km distance, and 22 youngest participants selected the 10 km distance. Village Felsőtárkány lies in Heves Country, it is located in the neighborhood of Eger City. It has about 3600 inhabitants, it doesn’t belong to the least villages. Felsőtárkány was called as western gate of Bükk, because there aren't any villages next to the Felsőtárkány just the beautiful landscape of Bükk. The main road are running through the village, It looks like as a gateway for hikers. Village house was built in 2011, it was using as a social space, it was suitable for organizing of greater or lesser events. The „ Harangozóház” was refurbished in 2010 also There were located the local museum too, It functions as the venue for events. 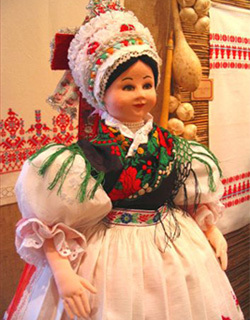 The local museum has been the venue for programs related to traditional preservation, for example: Traditional Easter, Village Days, communities week. The most beautiful outdoor venue in felsőtárkány is the shore, there was a director nature. Strudel days in Felsőtárkány was organized from year to year. The idea of Strudel days has come from the Pensioner Club 15 years ago. The basis of the idea was the local food specialty, this is the Salty Rowan Strudel. The last few years this food specialty get a space in the local treasure house. The variety of strudels was expanded with sweaty strudel, and with apple strudel. Next to the making strudel, there were programs all day. The Felsőtárkány folklore dance group was the permanent participant in every two days. We organized Rimóc Village Day on April 4, 2018, in the center of the village, there are 1750 residents. This event took place on ‘the place of the events’, there is between the school and sport center. The event was opened by Golyán Gréta, she is inhabitant of Rimóc. She sang folk songs, she has successfully participated in county and national folk song competitions. Palóc folk dance group from Szécsény performed twice on the Rimóc Village Day. Vadrózsa Gypsy Dance Group danced and sang traditional gypsy dances and songs. Csini-Tini cheerleader group from Mihálygerge gave a performance too (with several productions and with different types of dances). Bangó Alexandra enhanced mood by her songs. She sang Hooligans hit, soundtrack was called ‘There will be something’. The second part of the village day was opened by Beszkid János, he is the mayor of Rimóc. Miki-Niki and Csinibabák band participated by retro Rock n’Roll show. Brass band and Ensemble of preservation of Tradition Values from Rimóc gave a performance after the 7:00 p.m. They preserve Rimóc traditions, and present it for youth in Rimóc. The fireworks was launched after the Hangszedők band concert. Outdoor party was the last program, and it took till morning. There were more than 1 000 participants on this year on the village day, in the afternoon was fewer participants, because it was hot summer weather, but there were more participants in the evening, the main square was full of people. We published two outside live streaming’s on the Facebook profile of the Palóc Út, the first was since 07:17 p.m., it was approximately 20 minutes long, and we had second live streaming since 09: 42 p.m., it was more than 11 minutes long. Iliny is a beautiful small village, even though the small size, Iliny are attractive for tourists with the location, the peasant houses and the natural values of the village. Village was transformed after the First World War, the infrastructure was developed: the roads got new cover, the new houses and buildings were built. Iliny had changed, Iliny became a local government. The residents built a strong community; the community members were encouraged to take a part in the development of their village. Iliny has participated in the town twinning program, it has supported by the European Union since 2008. Iliny is in contact with seven towns, these are the following: Slovenské Ďarmoty, Lesnica, and Sečianky from Slovak Republic, Blizin from Poland, Lizums from Latvia, Alpago from Italy, Vlachovice from Czech Republic. Year in and year out, we organize village days, it links with Festival Derelye. All nations can make derelye in this event and they can show their local specialties and they also can participate on the cultural program. It happened at 28.07.2018, when we had a colossal event, it seemed as if had been an international event. Wandering wooden spoon prize has awarded every year for 10 years. Self-government from Slovakia Lesene won the prize last year. This year Czech twin town won the wooden spoon. The prize had won for derelye with marmalade and for hayen soop. There are a lot of people on the event, and also there are a lot famous artists, they enhanced the atmosphere. The event was totally successful. The visitors could eat special foods, could drink delicious wines and naturally They naturally were out carousing till dawn.